Welcome to Crazy Cat Facts Part 2 ! If you miss it for some reason, you are more than welcome to check out the first part. Cats are curious, intelligent and full of surprises. You might class yourself as a bit of a cat-expert, but there might be one or two things that you have yet to discover about your feline friends. 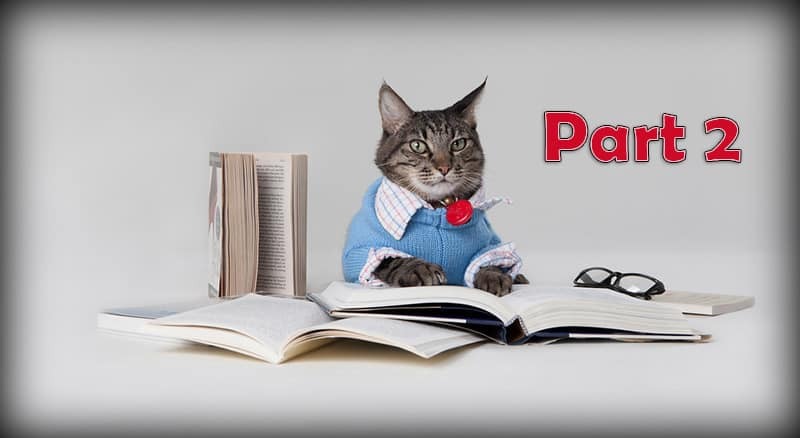 Read on and find out a few crazy cat facts that might make you purr with delight. Do you know someone who has a sneezing fit, comes out in a nasty rash or gets itchy eyes every time a moggy walks into the room? Well that’s because they are allergic to cats, but did you know that kitty cats can have a bad reaction to us? Cats can have an allergic reaction to many things, including the way we live our lives. If you smoke or refrain from dusting your home you might notice your cat coughing a lot. Cat asthma is a very real problem and we can exasperate it by having things within our home such lots of flowers or a particular type of kitty litter. 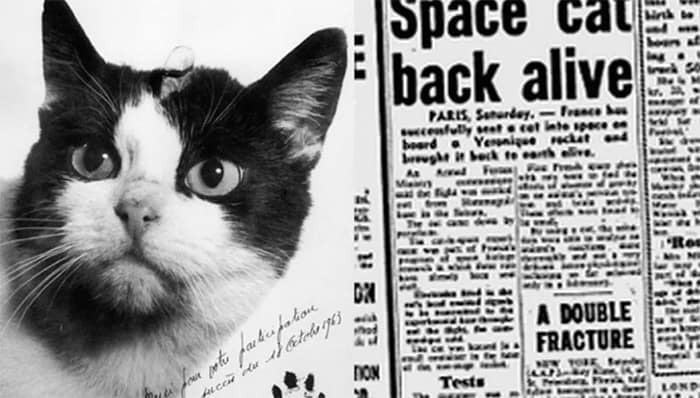 In 1963 a black and white cat called Felicette made history, making a leisurely trip from France to space. Felicette (or Astro-cat as she was nicknamed), came from humble origins. She was a stray wandering the streets of Paris when she was picked up by a local pet merchant. Amazingly Felicette was then bought by the French government and taken to CERMA (Centre d’Enseignement et de Recherches de Médecine Aéronautique) to begin a vigorous training routine that would prepare her for the intergalactic trip of a lifetime (which she managed to survive unscathed). We don’t think they go to meet Sleeping Beauty and they don’t really care if they get a picture with Mickey Mouse – he’s a bit big to chase down and pounce on after all. But cats are more than welcome at Disneyland each evening. Staff members place tasty food out to encourage feline visitors, it’s very kind of them, but they don’t just do it to be generous. Cats are encouraged so they can roam around and keep their claws out ready to get rid of any unwanted rodents. Would you like a cat with your tea? In Taiwan some clever cookie came up with the concept of the cat café and back in 1998 the first one opened in Taipei. A Japanese tourist happened to be visiting and absolutely loved the concept, taking the idea back to Japan and now there are over 150 cat cafes open! A cat café is all about being able to enjoy refreshments in the company of cats. You can pet them, stroke them and bask in their glory. In Japan it can be difficult to become the proud owner of a kitty cat as many apartments forbid pets, but it is widely known that spending time with cats is a great reliever of stress. So overworked Japanese men and women seek peace and calm in one of the many cat cafes. Cats have deep roots and connections to ancient Egypt and were given a god-like status. When a family cat died a period of serious mourning would ensue. To begin with some family members would shave off eyebrows, before planning a grandiose funeral for their much-loved kitty. The funeral would involve the cat being embalmed, a small wooden mask placed over the head, and the mummified cat would then be positioned in a prime location within the family tomb. No wonder cats have an air of superiority, they have come from a regal background and are used to be treated like idols! A ship’s cat would never go thirsty, even if the fresh water rations started to dwindle and it was every man (or feline) for himself. Seaman would look at the ocean and long for a cool drink, knowing only too well that salty sea water would only serve to dehydrate them further. 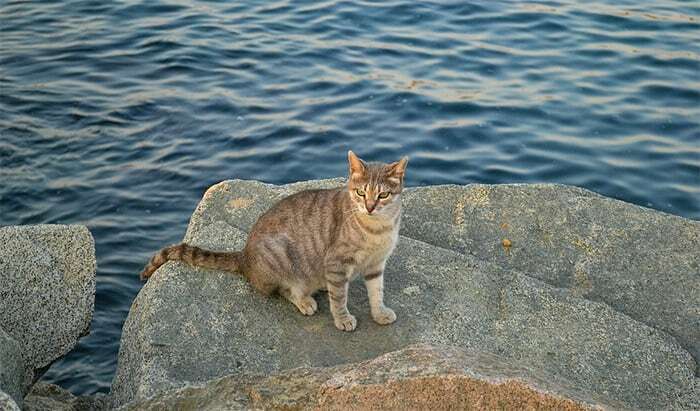 However, cats have no such problem, a thirsty cat can gulp down sea water in a bid to survive and that’s because cats have kidneys that can purify the water (removing the salt). Thus, the cat gets to drink up and stay refreshed and rehydrated. To add to this seaworthy theme, we can also add that cats can eat seaweed too! Yes, we know cats catch and kill rats, mice, frogs, birds and the occasional random mammals and reptiles on a regular basis. It’s a cats’ way of life and although we might not be keen on those little pressies we sometimes get on the doorstep we have to resign yourself to the fact our cats are predators and only living up to their reputation! But did you know that cats have played a part in the extinction of over thirty species of animal? It’s all part of the circle of life, but taking down an entire species is pretty invasive! Cats whiskers are quite cute, we like the way they twitch and how they tickle our faces when we get up close, but they also serve another purpose. Cats whiskers actually grow to the width of their body, so when your mischievous moggy is trying to squeeze through an impossibly small space his whiskers will indicate how much room there is. Whiskers will bend or catch and move if they come into contact with a wall or other surface, so your kitty can assess if there’s room to get by.